Sitting on Riverside just before I-35 last Friday afternoon this guy rides by. WWLA! Have y’all seen this guy exercising his horse? I’ve seen him on Riverside as far west as I-35. 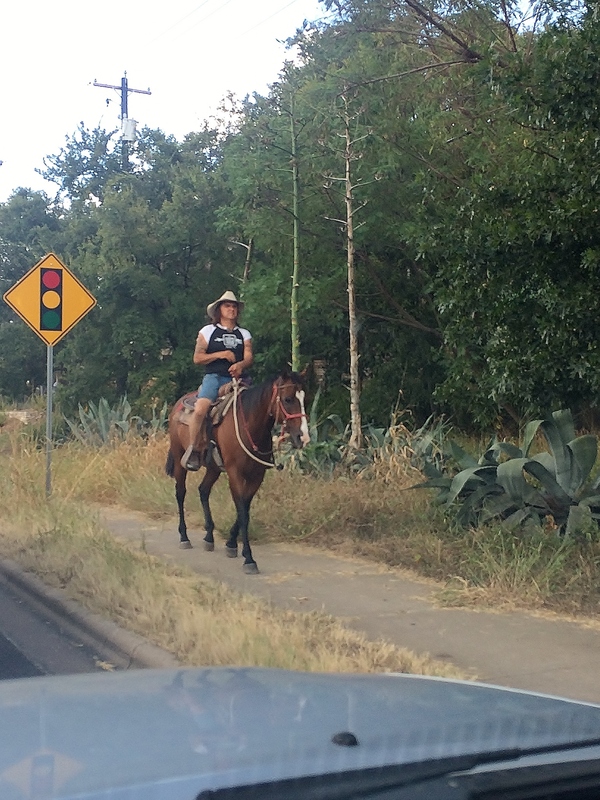 (I’ve even seen a woman riding a horse up the big hill on Woodland, just west of I-35 while I walked my dogs). I love that there isn’t a shortage of horses of a different color around these parts!